The glass computer desk offers a stylish and modern look with and the functionality of a simple desk. When talking about the style of a desk, it has changed a lot since its original shape. 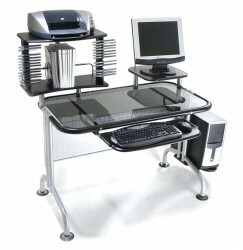 By incorporating materials such as steel, glass and plastic the desk has managed to enter into the 21st century, but besides the general style would one benefit from acquiring a glass computer desk? The opinions vary on this matter, but we will try to go over the main points of this aspect as to reach an argument-based conclusion. 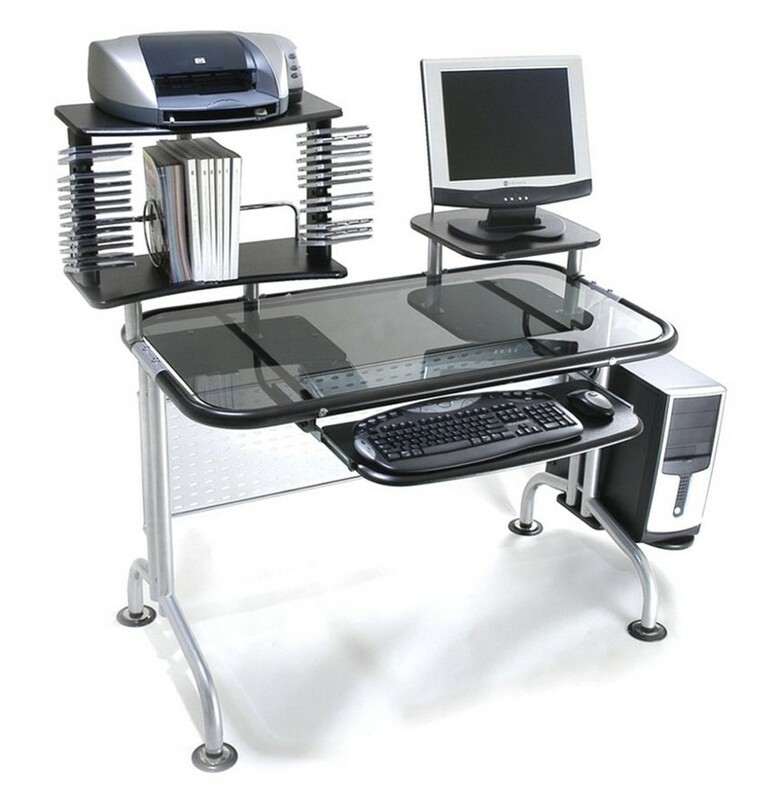 To start with, a glass computer desk will give the room a more spacious look. Being transparent it will spread the light evenly across the room instead of just reflecting it, which is what happens with the normal wood desk. The glass and metal combination is one which is very well regarded by the business world, so if you would like to give your home-office a more serious look then this is the way to go. Don’t forget to match the desk with the general style of the room, so if you already have it antique the glass desk will just stick out like a sore thumb. Furthermore, consider what your needs are before acquiring a glass computer desk. You will not be able to benefit from it if it is very business but doesn’t offer the utility you need it to offer. Behind the fancy and simple look of the glass computer desk hides the secret which any retail will try to hide: there is not much functionality and not a lot of storage space. Try going for a corner computer desk made out of glass if you need a plus of space or utility, but always make the choice which best suits your needs. Moreover, the simple glass computer desk is interesting but much more intriguing is the tinted glass. As with the case of car windows, tinted glass has a certain shade which you pick out. The most common colors for glass desks which can be found in stores are black, green and brown, but you can also find more “outrageous” colors such as red or pink. Concluding, the glass computer desk offers a stylish and modern look with and the functionality of a simple desk. Don’t expect too much storage and a lot of utility from this furniture item, but bear in mind that everything has an upside and a downside. Consider what you need and I am sure that you will be able to make the right choice!